After the Florida manatee's (a subspecies of the West Indian manatee) population exploded in the last decade, wildlife management officials recommended changing the status from endangered to threatened in 2012. But FWS did not downlist the species based on that recommendation. PLF also presented scientific information in a petition for downlisting in late 2012. When the FWS failed to respond for well over a year, PLF attorneys filed their lawsuit this past May to compel action by the agency. In both the 2012 petition and the lawsuit this spring, PLF attorneys represent Save Crystal River, Inc., a nonprofit organization of citizens from Crystal River in Citrus County, Florida, who advocate for property rights and a quality of life that they say preserves the "proper balance between nature and human activity." FWS will now conduct a 90-day finding to determine whether downlisting is warranted. 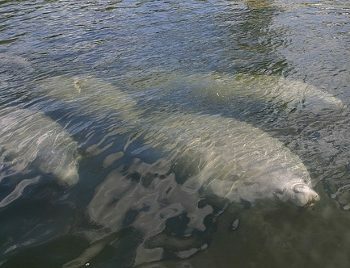 Is The Florida Manatee Population Comeback To Blame For Record Deaths?